Hello, hi & how are you? All the DT work is caught up, so I am playing in a couple of challenges today. and at Simon's Wednesday Challenge, they want us to use Kraft card stock. I love the banner panel sticking above the card just a bit and I heat embossed it with a repeated sentiment in white. 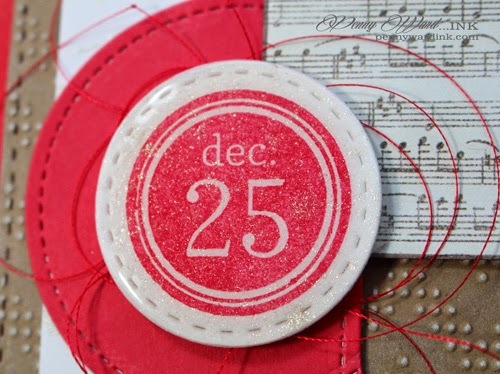 After stamping and die cutting the circle embellishment, I spritzed it with Sheer Shimmer Sparkle, then coated it with Glossy Accents. 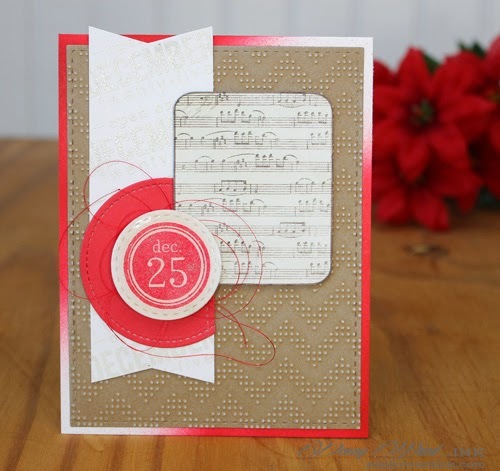 Gorgeous card Penny! 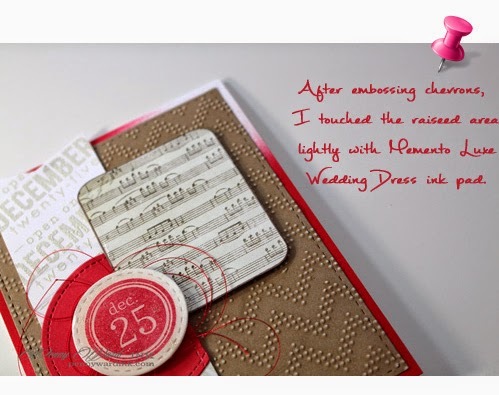 I absolutely love the effect of the embossed chevrons with a smidge of ink, it's so effective.